Every team craves a rock-solid defensive pairing that can do it all. Keeping scoring chances away from your net is usually the goal for top pairings, but being able to contribute offence as well is a completely different skill. There aren’t many defencemen who are talented at both, never mind one or the other. Finding that chemistry on a pairing altogether is an even tougher task. Sometimes, really good defencemen can’t find that partner to gain some chemistry with. This year in Ottawa, Erik Karlsson couldn’t find chemistry with Thomas Chabot, Johnny Oduya or Frederik Claesson. Even if he’s one of the best defencemen in the world, none of those pairings crack a top-50 league-wide. This list is about the best pairings in the league in terms of both creating chances and keeping the biscuit away from their net. It’s also about showing the ability to do that on a consistent basis. It might be surprising to see these two crack the list ahead of John Carlson, but you could make the argument that the Matt Niskanen and Dmitry Orlov pairing was one of the most underrated duos in hockey last season. This duo for Washington took on a good chunk of the heavy defensive matchups and still finished with the fourth-highest goals-for total among all defensive pairings in hockey. Orlov, in particular, has really evolved into a well-rounded defenceman after being a flashier offensive guy earlier in his career. Niskanen was as consistent as ever, and this pairing further found their groove as the team progressed through the playoffs. 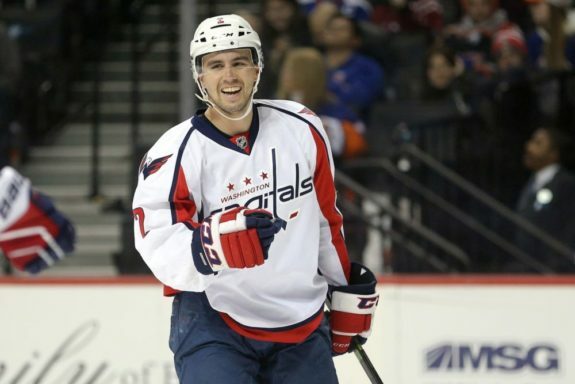 While Carlson bounced between partners, Niskanen and Orlov remained a constant for Washington. These two Boston Bruins have the biggest age gap between them among all defensive partners in the league. Even though Zdeno Chara is old enough to be Charlie McAvoy’s dad, the two still formed a rock solid pairing. Their goals-for stats were aided by the fact that they spent a good chunk of time with the Bergeron line, but that shouldn’t deter from their effectiveness. McAvoy was one of the favourites for the Calder Trophy going into the season, and he didn’t disappoint. Although he was overshadowed in a strong class, McAvoy consistently produced offence at even strength and found himself on the right side of the puck possession battle. Not only did McAvoy find chemistry with Chara, but McAvoy’s possession stats, in general, shined, even without Chara. On the other hand, Chara’s Corsi-for was a shade below 50 percent without McAvoy. Part of that is because his second-most common partner was Brandon Carlo, who suffered through a sophomore slump this season. Still, the fact that Chara is still leading the Bruins in ice time—at 41 years old —is an impressive feat on its own. 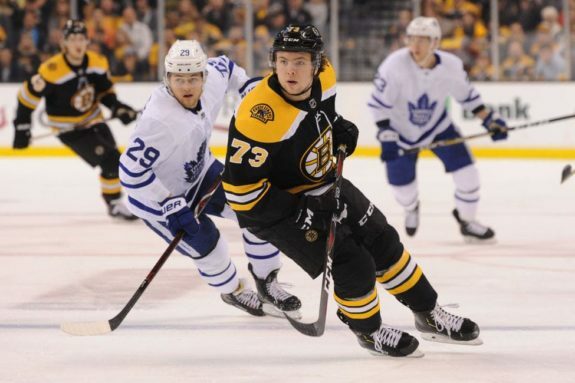 Look for McAvoy to surpass him next season, even if it’s likely that the duo sticks together. Let’s set one thing straight. This pairing has been one of the best in the NHL over the last number of seasons. The only reason why they don’t rank higher on this list was their lack of playing time together in 2017-18. Jon Cooper decided to stick Hedman with Jake Dotchin, while Stralman’s most common partner was rookie Mikhail Sergachev. While both those pairings were good, they weren’t as dominant as Tampa’s top dogs. No matter who Hedman played with, he was on the ice for two-thirds of his team’s goals at even-strength. However, when Hedman was with Stralman, the duo was decidedly better at getting pucks towards the net. 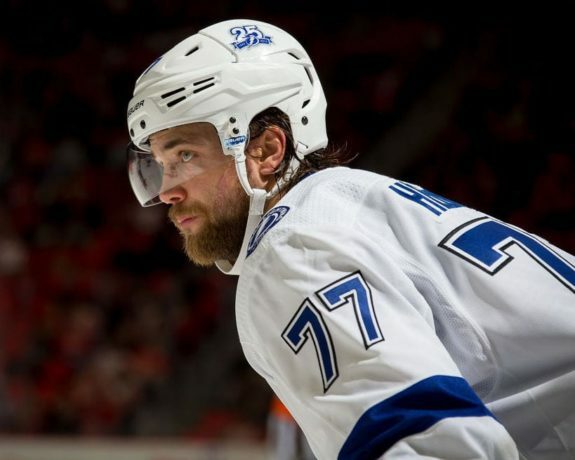 With Tampa’s depth, they can afford to split up their top guys to mentor the younger defencemen. When this pairing does play together, they are one of the most dominant duos in hockey. As a testament to how stacked Nashville is on the blue line, Romas Josi and Mattias Ekholm could have been a candidate for one of the best pairings this year. Josi was Ekholm’s main partner until Ryan Ellis returned from injury. While Ekholm and Josi posted stellar numbers together, P.K. Subban is certainly no slouch as a partner either. It sure is a tough life for Ekholm with the choices of partners he has on defence. Subban and Ekholm’s goals-for percentage wasn’t stellar, but they improved as a pairing as the season went on. That’s really grasping at straws, though, because this pairing is one of the most effective puck-moving units in hockey. They also both play with a physical edge, something that’s becoming less commonplace in today’s NHL. 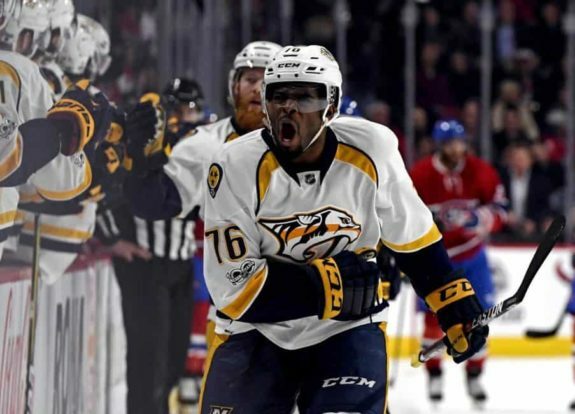 In the playoffs, it was Subban and Ekholm who formed the definitive top pairing. They posted more points despite taking more defensive zone faceoffs than Nashville’s other top pairing (spoiler alert). The only pairing on this list that features a player who was traded, Dougie Hamilton’s departure becomes that much more perplexing when you consider his effectiveness as a Calgary Flame. It wasn’t like didn’t receive a decent haul back in the trade, but there’s no doubt that the traded one of the league’s best defencemen. Even though Calgary’s defence was leakier then it should have been—Hamilton and Giordano included—the pairing still formed a potent unit. The pairing was an offensive force at five-on-five, with almost 100 more unblocked shot attempts for at even-strength. Their Corsi-for percentage was pushing towards 60%, and the offensive potency showed. Hamilton finished with 17 goals on the season, more than any other defenceman. Giordano also finished with 13 goals. Their on-ice shooting percentage of 6.17 was lower than most of the top defensive pairings, suggesting that they could have scored even more. 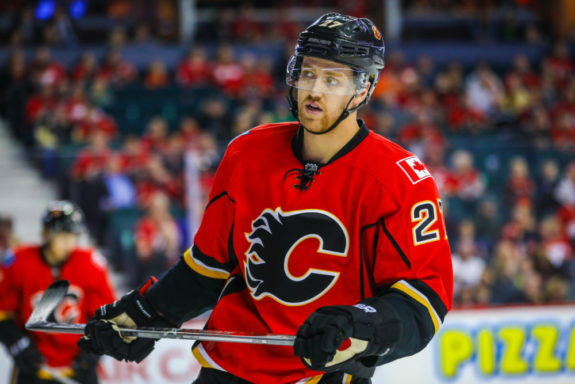 Even though Hamilton was dealt, both the Flames and Hurricanes flash promise of having some of the best defences in the NHL heading into next season. Ekholm and Subban might have been the better pairing in the playoffs, but Ellis and Josi were absolutely clinical during the regular season. Even though Ryan Ellis didn’t make his season debut until late December, he came back and didn’t miss a beat in the lineup. If he suited up for a full 82 games, he was on pace for 18 goals and 59 points. That point total would have tied Subban’s, and his 18 goals would have led the league for defencemen. He missed his 2016-17 even-strength point total by a single tally, despite suiting up in 27 fewer games. Josi continues to be one of the most complete, and perhaps underrated, defencemen in the entire league. He continues to put up the points, and manages not to be on the ice for many goals against either. 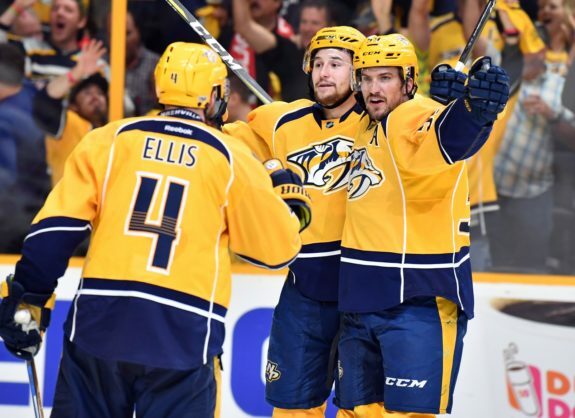 As a pairing, Josi and Ellis had one of the best goals-for totals in the league. For driving the bus on offence and for defending at an elite level, the stand as one of the league’s best pairings in 2017-18. 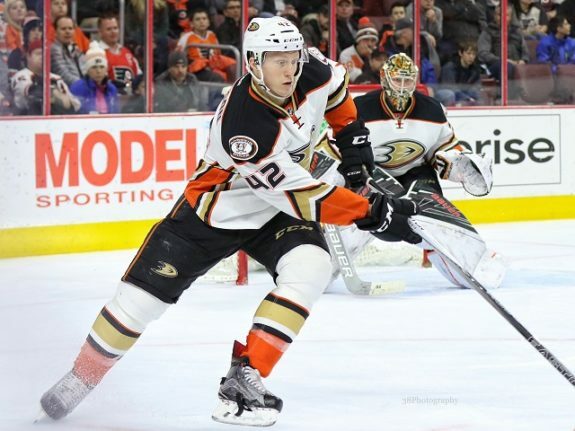 While you could label Niskanen and Orlov as an underrated pairing, the same could be said for the duo of Josh Manson and Hampus Lindholm in Anaheim. Neither defenceman is flashy, but they are incredibly efficient defensively and have quickly risen as one of the league’s top defensive pairings. Lindholm has cemented himself as a complete two-way defender, but 2017-18 was really Manson’s coming out party. Manson played third-pairing minutes and established himself as a tough and responsible defenceman. The Ducks took notice of that and banked on him being a stalwart on the blueline. That led to them parting ways with guys like Shea Theodore and Sami Vatanen. Manson didn’t disappoint after the Ducks’ leap of faith. After being pairing with Lindholm in November when the Swede returned from injury, the duo formed one of the most effective units in hockey. Despite playing heavy defensive minutes, both players came out on the right side of possession and goals-for at even-strength. Manson and Lindholm both topped the 30-point plateau as well. There were other duos in the league who are flashier and get more points. However, none did it while facing such heavy defensive minutes. Shift after shift, this duo faced the best players in the league, and they still managed to be plus-20 in the goals-for category. That’s no easy feat, making them one of the best shutdown duos in hockey. TSN’s Travis Yost recently wrote about the NHL becoming younger on the blue line. With Zach Werenski and Seth Jones being the most successful pairing in 2017-18, that’s only going to help fuel the desire to roster young blueliners. However, not many can match the effectiveness of Jones and Werenski at such a young age. Werenski followed up his rookie campaign with an incredible sophomore season. Even though his overall point total dipped, he scored more and actually put up more points at even strength. While Werenski was solid in his own right, it was Jones who cemented himself as a Norris contender for years to come. Jones has incredible on-ice vision along with amazing speed and mobility for a defenceman. He has the ability to jump up in the rush because he’s so quick at getting back on defence. The pairing together had 32 goals, which was best in the league. Their goals-for total is also one of the league’s best, and they had a big impact on that contribution. Even though they started a good chunk of their shifts in the offensive zone, they still faced a high quality of competition. For them to face top players and still put up so many points is a testament to their strength as a pairing moving forward. With Werenski only 21 and Jones only 23, Columbus looks to have one of the most formidable pairings in the league for years to come. Do you disagree with this list? Who was your top defensive pairing of 2017-18? Let us know in the comments below.